TIPS FOR SOME BUGGING ISSUES | Thoughts of a Calabarboy. 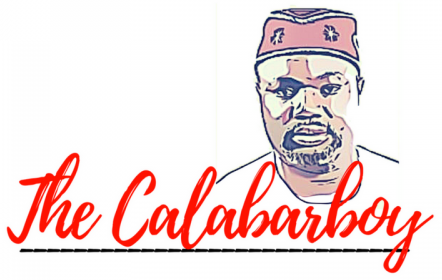 TIPS FOR SOME BUGGING ISSUES – Thoughts of a Calabarboy. There are some bugging issues we sometimes try to resolve by some subtle action. W e never try to inquire about some of them because it may sound too disgraceful asking such questions. I have this day taken up the challenge to raise and answer some of these questions here. Please if you still have others, be free to ask and you can be sure an answer is well on the way. And please another thing…TAKE THIS NOTE SERIOUSLY!!!! 1. My belly seems to be protruding, how do I stop this? Although most people have tendencies to have fat build up around their midsection, however a good way to prevent this is to stop sleeping or lying down after eating. Also try and eat your dinner before its 9pm so metabolism can complete before you sleep. If these don’t work….kill yourself with crunches. 2. How do I prevent the toilet from smelling after my pupu, so someone else can comfortably use it? This is rather simple, I have tried it and it works. Make sure you really want to pupu before going to the toilet. When you get there, put one hand to the flush lever, then concurrently release your pupu as you press the flush lever. This way no pupu will be in the bowl and the smell will all vanish. However, if your pupu is dangerously toxic, you may want to ensure there is cross ventilation and you have an air freshner. 3. As a man how do I prevent my pee from soiling the toilet seat? Make sure your pee instrument is well directed in the case it is naturally tilted to one side. When you want to pee, make sure you look down at what you are doing and you may wish to stoop down if you are not sure of the speed of the release. 4. How do I rid the house of the smell of my socks since visitors are on the way? Open all the windows, spray air freshner and perfume, bring the refuse bin out and place it at the entrance of the house. If the conditions you applied in the house do not work well (some socks smell simply blend and refuse to bend), they will think it’s the refuse bin that mst have passed that way and has the lingering smell. 5. I hate washing clothes, what do I do? A few answer here to help you. First go and marry an uneducated village girl, then oppress her well well. Next you can try and do yahoozee and get rich so you don’t have to repeat any cloth (you’d be adored by the Red Cross). Also you can feign sickness and beg your g/friend to visit. Finally, employ a househelp or convince yourself that cleanliness is next to godliness. 6. My car consumes too much gas/ petrol. What do I do? 90% of the constituents of petrol is water. So all you have to do is increase the percentage of water a little bit and you are good to go. On the other hand these kind of problem is usually that of perception. So make a carve sign with the inscription HYBRID, then stick it to the back of your car, you will suddenly have a feeling that your car consumes less gas. 7. I am ageing fast. What do I do? Change your mirror, it may have lost its potency. Other options are: drink your urine every morning. Stop cringing it’s called Urine Therapy. Spend a lot of time in the presence of God, you will come out and appear like Moses did. 8. I can’t sleep at night. Help please!!! If you are a married man, perform your responsibility to your wife and sleep will come naturally. If you are a single guy, think about the beauty of marriage and you won’t even know when you doze off. If you are a married woman, let your husband offend you before going to bed, it is very sweet sleeping knowing your husband will be begging in the morning. If you are an unmarried female, red your bible!! 9. How do I find the right life partner? Get a life first before you look for a partner for life. But seriously, get a life before a wife, a house before a spouse, money before honey, get some pride before a bride, and study the book of Romans before any romance. Also you must realize that life naturally has a partner, so everytime you find life, it adds something about a partner to you. Finally please, believe in love at first sight, God is not complicated at all. You are free to fart if you’re alone in the car, except your doctor has certified your fart as unfit for nasal consumption, at least you can assess how green your eating habits has been. But if you have passengers in the car, this may help you. Scream and shout: OH MY MY!!! I LEFT SOMETHING IN THE BOOTH OF THE CAR!! Then park immediately and scram to the back of the car and quickly release there. But be sure there is enough wind to clear off the offensive odour else there will be trail following you back into the car. 11. I am getting too old, how do I make money before time passes by me? This is one question many people don’t know how to ask but want to hear the answer. I wont tell you until you comment on this note. All I will say for now is don’t think fasting and prayer doesn’t work ohhhh….it still works. → CAN SOMEONE PLEASE STOP ROBERT MUGABE? Anything on relationship and romance Big bro? I will love that too…..you bet! seems like the “trail” of ur fart has followed u to places u never intended b4. u seem to speak with a lot of experience. hehehehehe! !